BLAST Crystal Wheels have Glitter flakes right in the wheel – catches the light for a cool look at the rink! Set of 8 wheels. 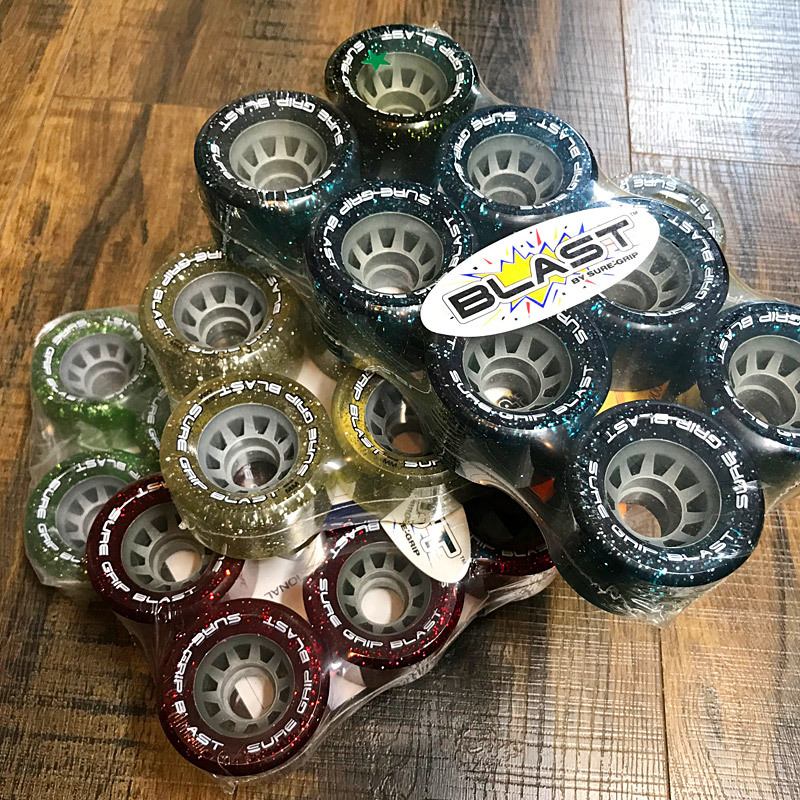 SURE-GRIP BLAST Crystal Glitter 95A Wheels 8-Pack! An excellent beginner to intermediate indoor speed rink session wheel. Great for Derby too! Good, Medium Hard, Fast wheel at 95A speed width 62mm x 40mm. Glitter flakes in the wheel catch the light for a cool look at the rink! Set of 8 wheels. Available in 4 colours: Blue, Red, Green and Silver. Hurry – While Quantitiies Last!